"Ask not whether you need a tie; ask what a tie can do for your outfit. In an unexpected shade like this, they can elevate a getup from humdrum to extraordinary." 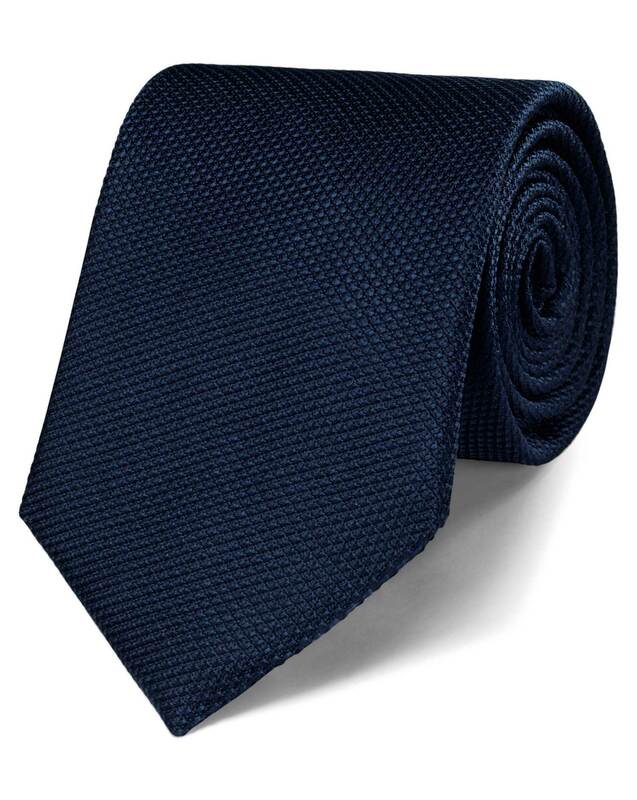 "A pure silk hand-finished tie. Smart dressing starts here." Response from Charles Tyrwhitt: I understand you were initially looking for a slightly different tie, so I'm sorry this one wasn't quite the one you had your eye on. If you would like to have a look through the "Classic Tie" range on the website and can spot your preferred choice, we would be happy to exchange it for you in the usual manner. Its a tie - a very mice one - but a tie! Works well in a tie sense!! !